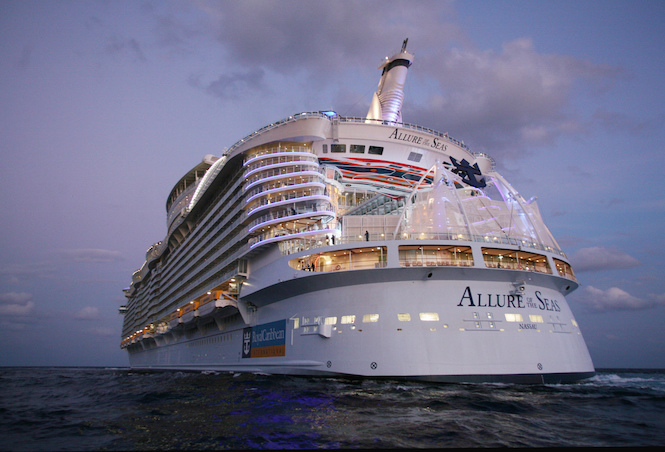 The Allure of the Seas is the biggest cruise ship in the world. It is essentially a floating town, as it can hold up to 6,296 passengers! Check out these amazing photos of this extraordinary vessel — but beware — you may feel the need to book a cruise after seeing them. Here is the world’s largest cruise ship in all its glory. Believe it or not, it took this title from its sister ship Oasis of the Seas, which is only 2 inches (5 cm) shorter.